Enjoy an evening out WITHOUT THE KIDS! every Friday night 6:00 PM -10:00 PM. You enjoy a night out while your kids enjoy the night in! 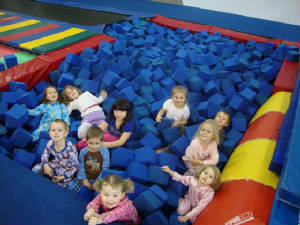 climb the rope and rock wall, and participate in ninja warrior and parkour courses! Drop off will be at our Ninja/Parkour gym. 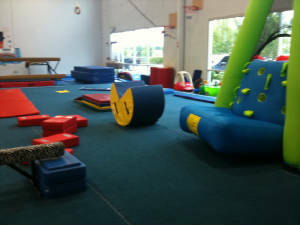 Your kids will spend time in our other gym from 6 to 8 pm. 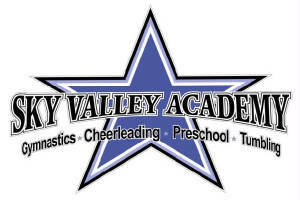 Our coaches will walk the kids back to the main gym at 8 pm. Pick up will be at the main gym at 10 pm. We prefer children to come in athletic attire. Girls - leotard, gym shorts, footless leggings, tank tops or t-shirt. Boys - sweats, gym shorts, tank or t-shirt. No street clothing, no jeans, no pants with buttons, zippers, no belts, no sweats with big pockets. Dress comfortably and ready for a night of fun! Let the staff know what your child/children's names are and they will send them out to you. Parents are not allowed out on the floor for safety reasons. We will bring your child to you. For safety reasons, no children will be allowed to attend without a parents signature and phone number. You may not sign in for a friend. You may stop by the gym prior to parents night out to pre-register and sign in if needed. Many nights fill up and you may be turned away due to a full evening. Pre-registration is suggested and mandatory for children under 4 years. If your child is not getting pizza please bring a snack in a paper bag clearly marked with your child's name. They will be able to purchase dessert for $1.00 if you wish. Children may be broken up into groups such as boys and girls, or by age groups. Siblings may not be together every time. Please explain this to your child ahead of time.